Please arrive 10 minutes early to discuss your expectations and treatment. A strong, full body massage designed to ease muscle tension and stress. 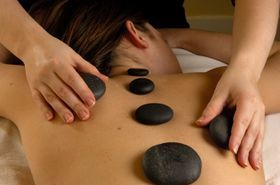 Unwind with the warmth of Volcanic Rocks and feel refreshed and rejuvenated. This is a must have experience that has been described as a warm hug. This massage targets tense muscle groups on the back, neck and shoulders, finishing with a relaxing scalp massage. Recommended only after the first trimester. A custom tailored gentle massage designed for mums-to-be on their journey to motherhood. The warmth of Volcanic Rocks for the relief of tired legs and feet. Give your feet time-out and relief. Let your lower legs and feet be cocooned with the warmth of volcanic stones. 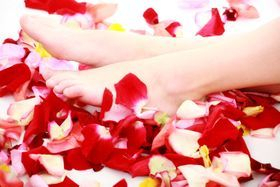 This treatment includes a foot bath, exfoliation and nourishing foot cream. A most relaxing treatment which includes a leave-in scalp treatment and hot towel wrap. The experience begins with an invigorating body exfoliation to revitalise your skin and prepare for the nutrient rich seaweed wrap. The seaweed used at Apsara has been harvested from the unpolluted waters of the clear fjords of Norway. Be cocooned while your skin will absorb vitamins, minerals, amino acids and iodine. Your wellness journey continues with a bespoke facial, tailored to your own needs and expectations. You have the option between two of Australia's Top Skin Care Lines, Clémence Organics and ASAP. Conclude your treatment with a relaxation Back/Neck/Shoulder Massage to relief tension areas with a blend of nourishing aromatherapy oils and a blissful head massage. 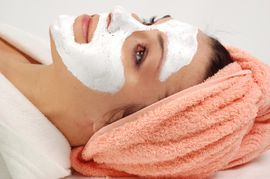 A wonderful refresher facial for an effective skin pick-me-up. Includes double cleanse, steam, exfoliation, masque, moisturiser and eye treatment. Treat your delicate eye area with this 24-karat gold infused hydrating eye mask for firmer, plumper and brighter skin. Formulated with aloe vera, ginseng, caviar and green tea, this is a highly soothing and relaxing treatment for a bright-eyed appearance. Expect the skin around your eyes to look more hydrated than ever. Enjoy a head- and foot massage during your treatment. A complementary eye home care is included. Please note: ASAP skin care has to be used 2 weeks prior to peel. Tailor Made for mums-to-be. Pamper yourself while your body goes through changes and enjoy this special time. Recommended after the first trimester. Includes: A Calming and Relaxing Pregnancy Body and Scalp Massage, Essential Facial, and Essential Pedicure. Enjoy smoother skin, help reduce the appearance of dark spots, minimise the appearance of large pores, get smoother elbows and knees. The moisturiser is absorbed, helping to prevent ingrown hairs and make hair removal easier. This luxurious Body Polish will leave your skin smooth, fresh and envigorated. This is also a perfect stress reducing treatment. Essential Pedicure Refresh tired feet with a nail file and shape, cuticle treatment, exfoliation and soothing lotion.